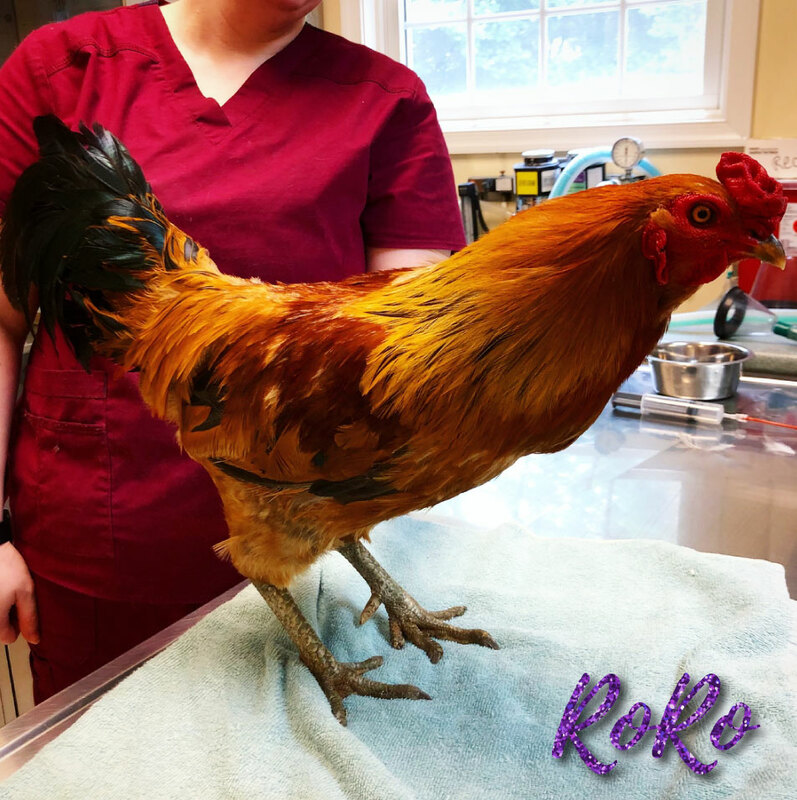 RoRo the rooster visited us today to have his spurs trimmed down! Roosters have spurs on their feet that are used as a natural weapon to protect themselves and their flock. The spur is mass of underlying bone surrounded by a sheath of keratin, which is very similar to the anatomy of a rhinoceros horn! Roro having a physical examination. 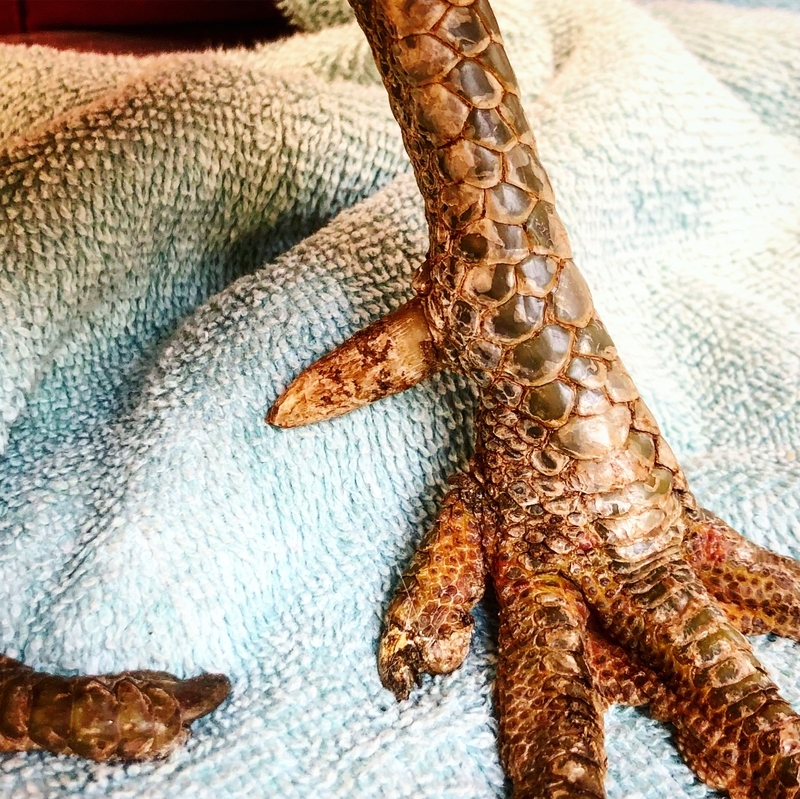 These spurs can grow very long and very sharp, and while useful in the wild, these spurs can be dangerous in backyard flocks, potentially harming other hens, the owners, and even the rooster himself if they curl and start to grow into the foot. 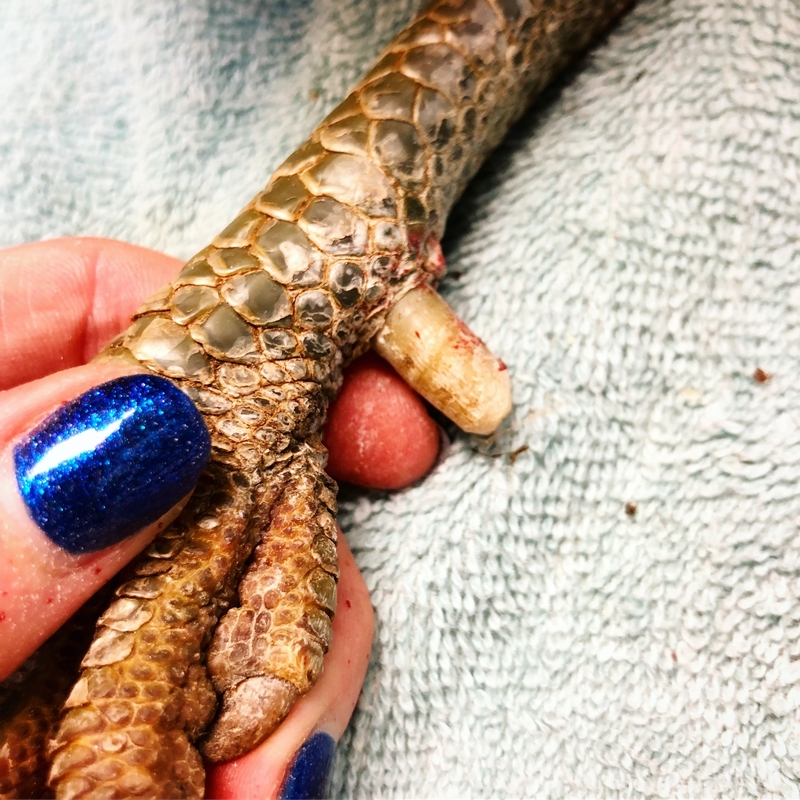 Before (left photo) and after (right photo) Roro's spurs were trimmed. 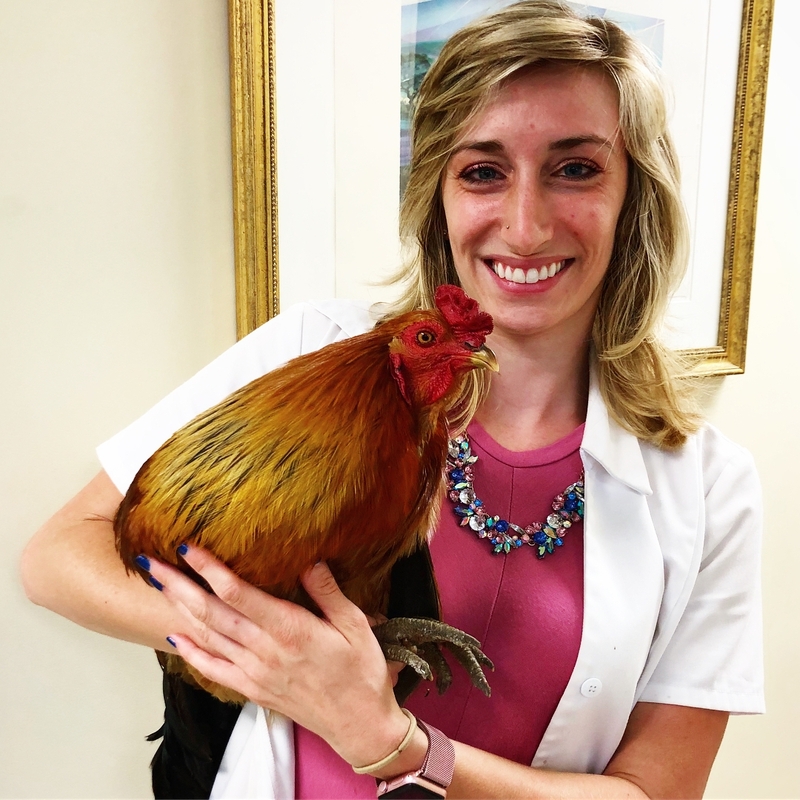 While permanent spur removal is possible, it can be very painful and bloody to the rooster, as there is live tissue in the center of the spur, so we generally do not recommend this procedure if it can be avoided. For RoRo, we dremmeled the spur down as far as we could to make it not only shorter but also more blunt to prevent injury without causing pain and discomfort. Roro after his spurs were trimmed. 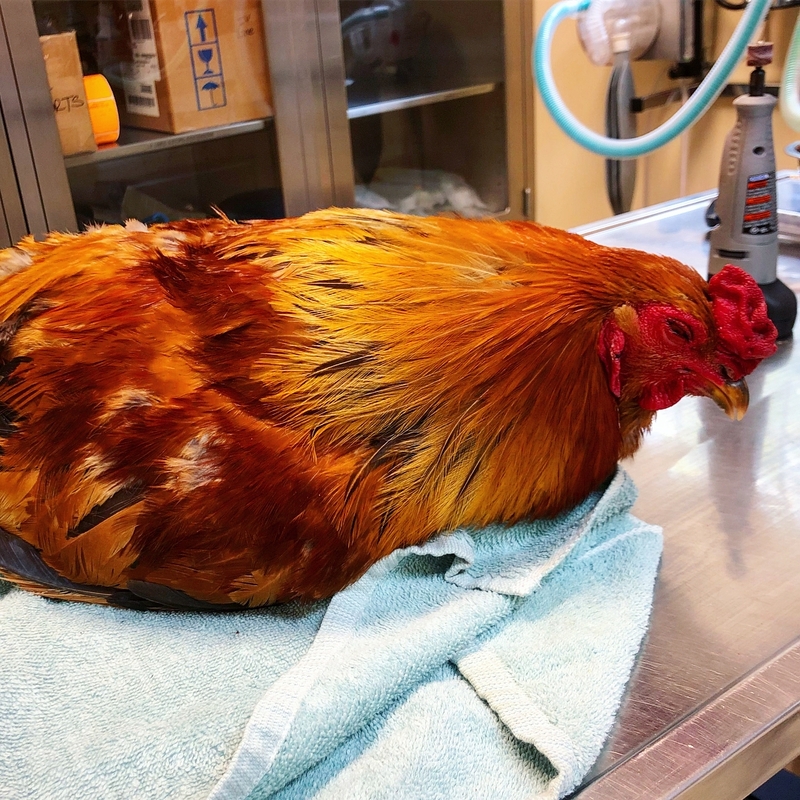 Since RoRo is a feisty rooster, we also sedated him prior to the procedure to reduce restraint and make sure it was not a traumatic experience for him (you can see how sleepy he is!). All in all RoRo did great and now his owners feel more comfortable handling him! 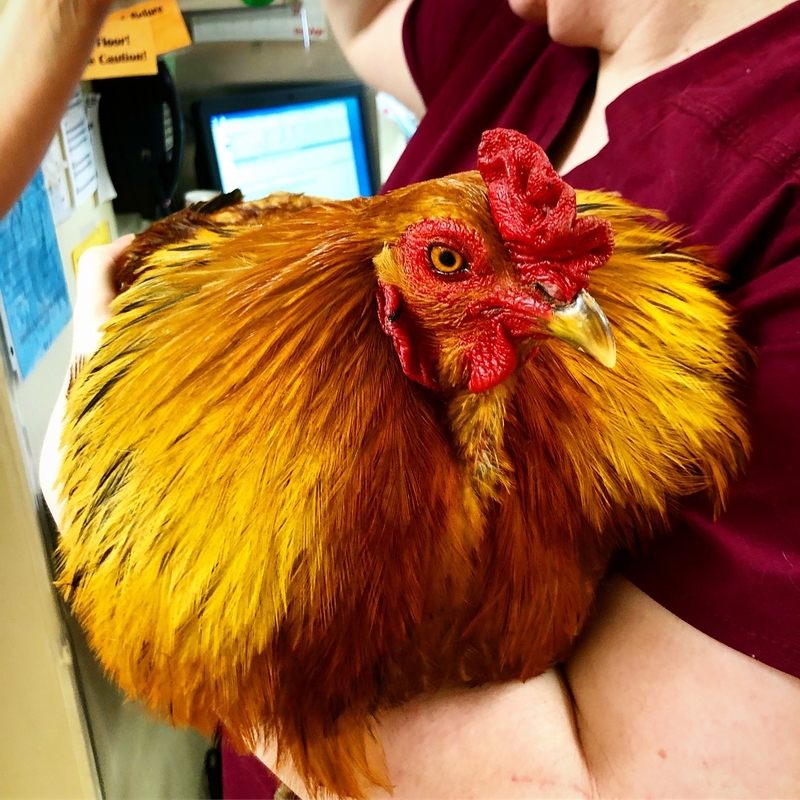 We think he is one of the most handsome roosters we have ever seen.